The OECD has developed a privacy statement generator, building on the OECD guidelines on the protection of privacy. They regularly publish policy guidelines on internet economy issues, reviews of good governance in information society, reports — including “Reducing Systemic Cybersecurity Risks” (January 2011, pdf), a report outlining what types of cyberattacks and large scale disruptions hold potential for causing a global shock, and “The Economic and Social Role of Internet Intermediaries” (April 2010, pdf) — and OECD Outlooks including the OECD Communications Outlook and the OECD Information Technology Outlook. Additionally, the OECD releases regular statistical updates on the future of the internet economy (June 2011, pdf). At the occasion of a High Level Meeting entitled “The Internet Economy: Generating Innovation and Growth” in June 2011, the OECD developed an Issues Paper (June 2011, pdf) outlining some background to the issues discussed at the sessions of the High-Level Meeting, including broadband access, the role of broadband in developing the internet economy, the balance of policy goals to strengthen growth, and policy making principles for an open internet. 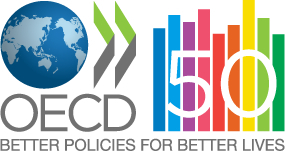 Prior to the High Level Meeting, the OECD worked on developing a “Communiqué on Internet Policy-Making Principles” through a multistakeholder discussion. On June 28, the Civil Society Information Society Advisory Council (CSISAC) announced that it has declined to support the Communiqué, stating that it could undermine “online freedom of expression, freedom of information, the right to privacy, and innovation across the world.” More information is available on the website of the Electronic Frontier Foundation (EFF) — EFF Declines to Endorse OECD Draft Communiqué on Principles for Internet Policy-Making — the website of the Internet Governance Project (IGP) — Civil Society defects from OECD Internet Policy Principles — and the website of CSISAC — CSISAC Declines to Support OECD Principles on Internet Policy-Making. The OECD’s work on internet governance is coordinated by the Department of Information and Communications Technologies.